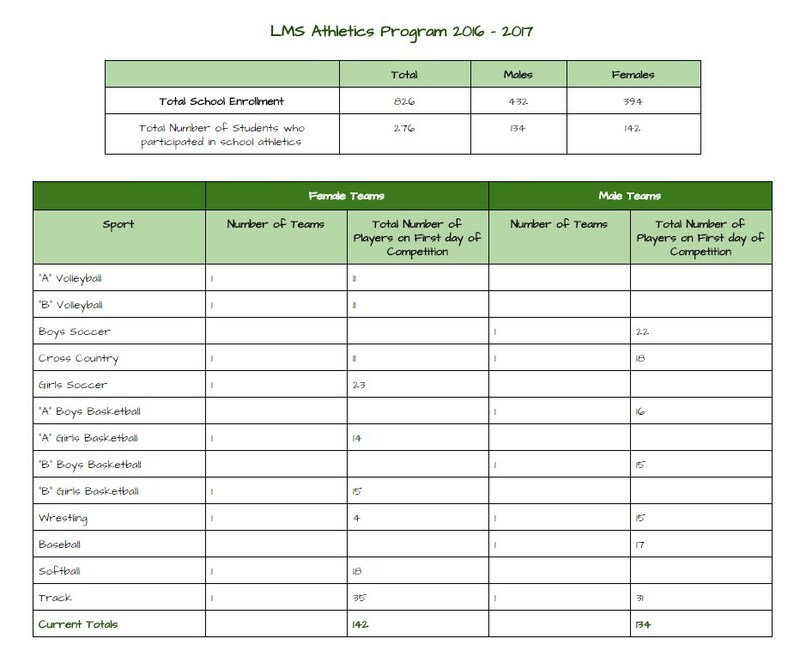 All Livingston Middle School Students have equal access to trying out for any of the thirteen competitive sporting teams that we have provided for them. Tryouts are announced in the following ways, morning announcements, school calendar, and web calendar so that all students can attend them based on the team that they wish to try out for. The amount of athletes coaches can keep on teams are equitable for both males and females. 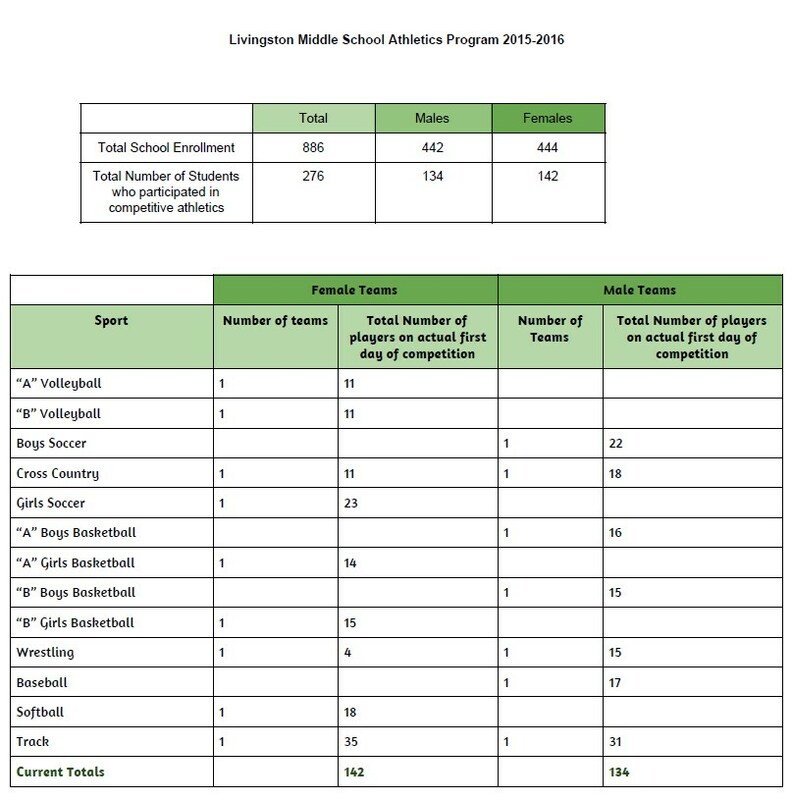 All Livingston Middle School Athletes are provided with uniforms for their specific team, equipment, and the travel to and from all sporting events, during their specific season. The purchase of uniforms is on a rotation, so that all sports are given equal opportunity for new gear in a timely fashion.